Choosing the right next technology system like PLM is no small decision. 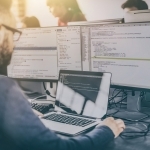 Similar to the significance ERP has on business operations, PLM has the potential to make a similar impact on the business. Making the right platform choice can be the success or failure of your project. It’s important to make sure that your PLM requirements are a good match for the PLM platform you choose. That’s where Razorleaf can help. From a straightforward analysis such as a PLM Platform Comparison or something more detailed to match your specific requirements, Razorleaf can help you sort through your options to make an informed decision. 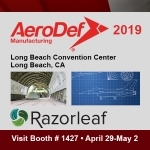 Razorleaf will review your current technology environment and seek to understand your business processes around product development cycles – and how it impacts process and workflows across the organization. From that analysis, we distill out the core requirements of your PLM system. Razorleaf will provide a narrative summary of each platform being considered, highlighting the strengths and weaknesses as it relates to your specific installation. Using your requirements gathered in the earlier process, a detailed matrix of software/features/benefits will be compiled to further assist your quick summary of which platform promises what according to your priorities and needs.